One of the most exciting things in the Linux world is discovering cool new things, especially when you do not expect them. For me, one such moment happened while testing the MX distro a while back, and finding out about the namesake toolbox of goodies packaged with the distro. 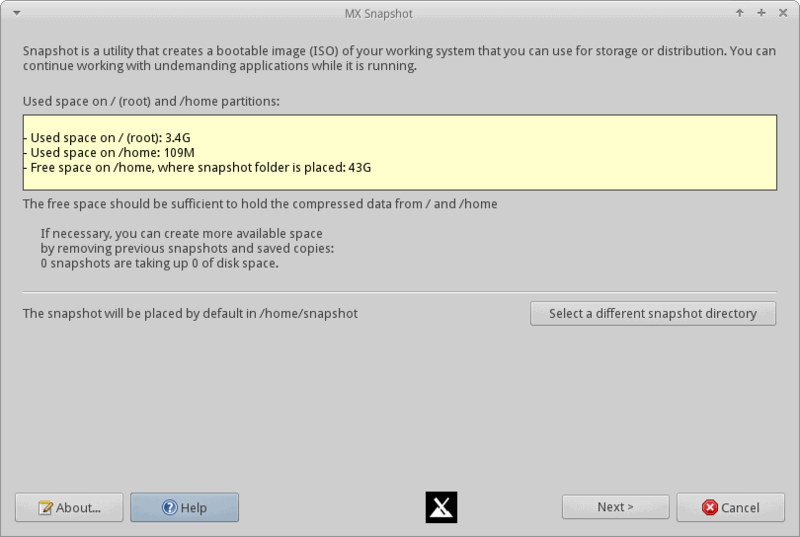 And then again, recently, after my pleasant and positive experience with MX-15, the latest version of this system. 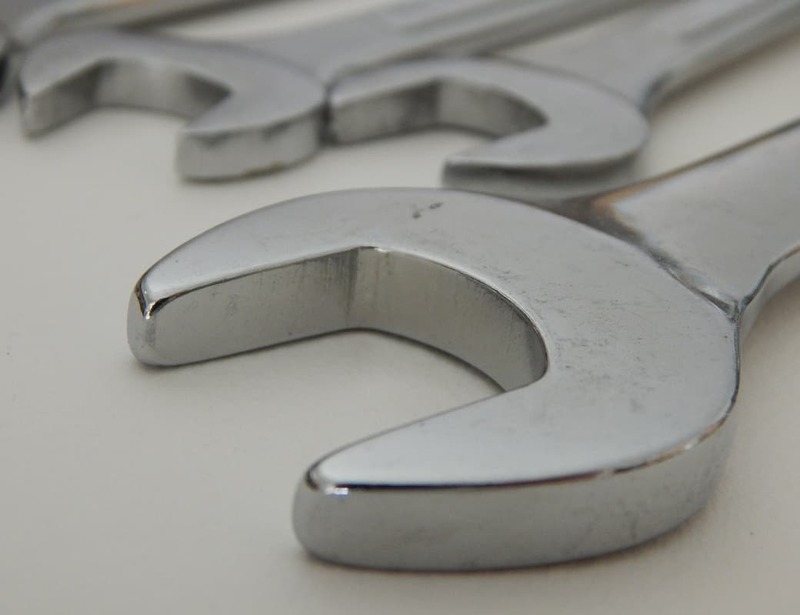 I was so engrossed with the concept and what the toolbox could do that I realized writing only a brief stint inside an already long and exhaustive review would diminish the value of the MX Tools. Which means there was a need for a separate article, and here we are. 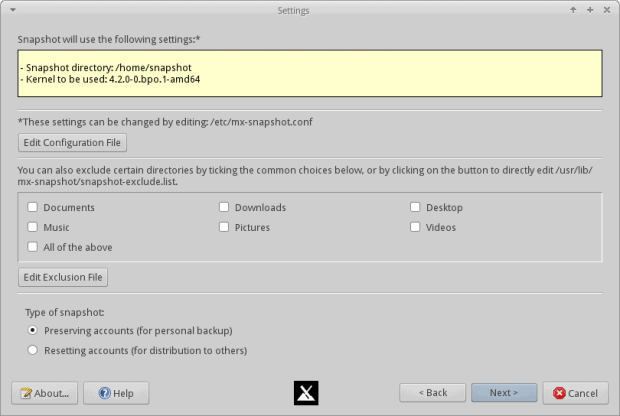 The MX Tools are available as individual entries in the system menu, or under a unified wizard bearing the same name. You can do basic or advanced tasks, both of which are quite intriguing. In a way, they remind me of what Puppy Linux derivatives used to offer, like Magic Scripts in TEENpup. The basic tasks are all about media codecs, DVD tools, audio and Wireless management, network shares, users, and bootloader repair. 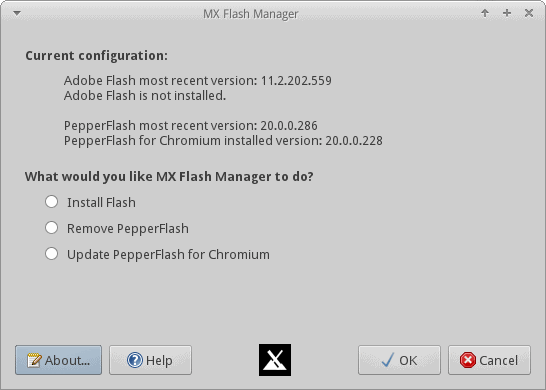 For instance, you can use this menu to install the Flash Player and various restricted plugins. You can also configure Broadcom devices, if your hardware platform has any. On the visual side, you can also re-orient the panel, which normally sits on the left side of the screen. To see whether these tools actually bring any value, I started clicking furiously. First, Flash, and it worked like a charm. DVD codecs next, no issues. Finding network shares was also a breeze, but this might not be necessary, if you’re savvy enough with Thunar and network protocols, and you know what your topology looks like. Panel Orientation worked fine, but it reset the manual changes I had configured for the vertical panel earlier. I lost some of the icons and tiny tweaks, so there’s something that needs to be fixed. 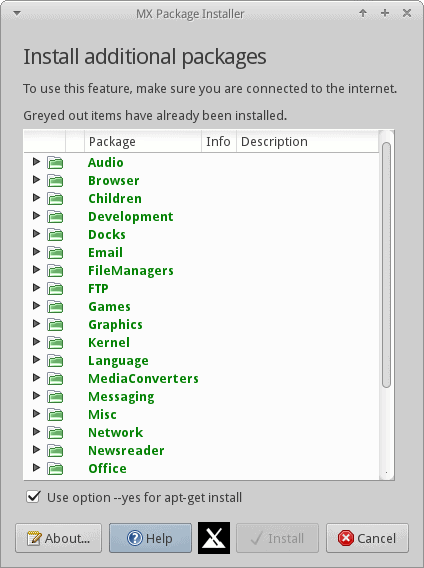 Package Installer doubles as a sort of package management tool. You may think it’s not needed, because you can use apt-get from the command line, or fire up Synaptic and search for what you want. 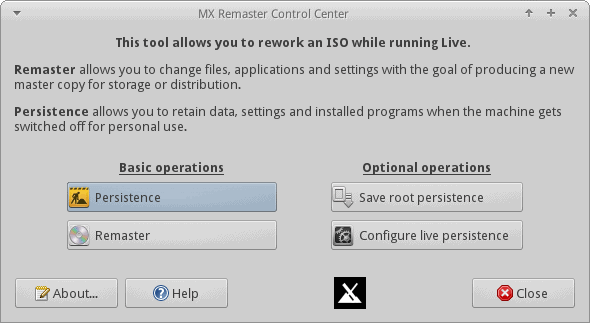 However, remember the MX Tools are designed to help new, less savvy users get around the distro with ease, and a set of automated scripts and tools definitely helps along on that journey. Perhaps one day MX Tools could supercede third-party tools used for system management, and become the de facto organic control panel for all and everything MX related. The second part of my little experiment was trickier, more challenging, both because the tasks are less trivial, and because I started encountering all sorts of niggles and errors in the implementation. But let’s not rush ahead of ourselves. To wit, the Advanced subset includes an impressive array of remastering tools. In layman’s terms, you can create a distro from your own distro! Inception. 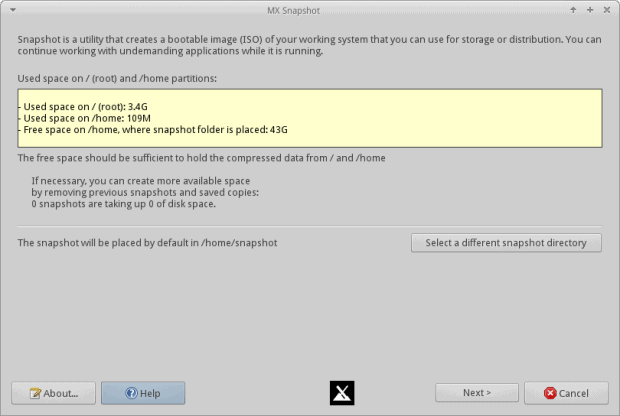 You can create a bootable live image of your running system, with or without specific user changes, and with all the additional tools and software you may like. Then, you can use the new ISO to deploy an improved, i.e. remastered version of the MX-15 distribution on other systems. Give away to friends, if you have any. This can also be quite useful for testing changes, software deployments, and a whole range of other wicked tasks. On paper, this is a brilliant concept. But it’s not executed with all the majesty and style you might expect. Creating ISO works as advertised. The other two tools are only valid while you are running in the live session, but this is not immediately apparent, so you might run into some confusion. There’s also a bit of a Catch 22 in the whole story. 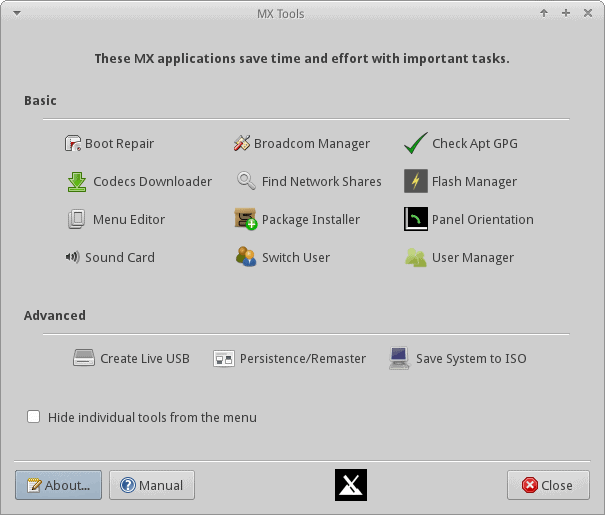 Most people will not encounter or use MX Tools while running in the live session, especially if they are just exploring, or have only started with Linux. They will be more concerned with simple tasks and installing the distro. Once committed, they might start digging deeper into the menus, but then, by the time they found the remastering option, two of the three advanced options will not be relevant. Things also get more complicated if you try to proceed. Some of the sub-options can be clicked, others will return errors. The actual visual formatting needs some rework, font style and alignment, padding, and all the trim that goes into GUI design. The tools that are not meant to be used in the installed system should be grayed out or removed from the menu completely, and vice versa. In a way, it feels as if the advanced section is still under development, and hasn’t fully reached maturity. 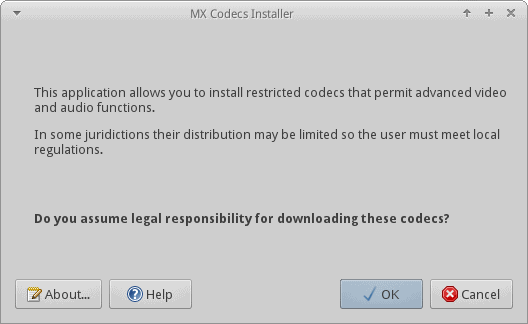 I see no reason why MX Tools shouldn’t incorporate additional features, and even introduce a new-user setup wizard, maybe upon logging into the installer system for the first time. Newbies will probably appreciate additional pointers, like popular software, how to use the package manager, printer configuration, data backup, and a few other bits and bobs. I liked the way Crunchbang did its first-time run. It wasn’t the prettiest, but it worked. Then, it’s usually the smaller, less popular distributions that try to introduce nice, innovative ways of bridging the skill gap, but they all do it differently. MX seems to be ahead of the rest, so it would make sense to pull in these other ideas under a single umbrella. And then slowly, gradually add new tools and features. There’s the question of why one should bother with the overhead, when most system control utilities offer a similar functionality, but then, the why things are done in Cinnamon is not quite the way things are done in Xfce or KDE, and Gnome has its own thing, and so forth. On the other hand, a common set of tools that crosses all desktop environment makes sense, it introduces familiarity and predictability into the equation, as well as helps increase awareness and branding. Last but not the least, fixes and tweaks and polishes are needed for the existing subset of utilities, especially the advanced bunch. Raw functionality aside, there’s also room for improvement on the aesthetic front, to match the overall quality and presentability of the rest of the distro. I very much like MX Tools. They are a handy, refreshing addition to the distribution, and they allow users who are not very tech savvy to solve some common problems. True, fixing audio and network drivers is hardly the first thing you want to do when you log in, but then, codecs and shares are an absolute must. Overall, MX Tools work quite well. The GUI isn’t perfect though. It can be visually much nicer, the advanced tools need some rethinking and rework, and I’d like to see more features added, with aided step-by-step wizards that would help new users get comfortable with the distro, and quickly. Anyhow, I warmly recommend you try MX Linux, and then sample from its unique fruit. I believe you will find the experience pleasing, and perhaps we will see more endeavors of this kind crop across the distro phase-space. the reason for the extra broadcom work in mx is that the open source broadcom drivers conflict with the proprietary broadcom drivers, so some extra work is needed when you need one but have the other. actually, we’ve made some moves under the hood to try to enable the correct driver for the correct part at first boot rather than after the fact. as to realtek, we’ve seen some issues with certain realtek devices (the Realtek RTL8191SEvB being a particular pain) but at least various realtek drivers don’t conflict with each other. 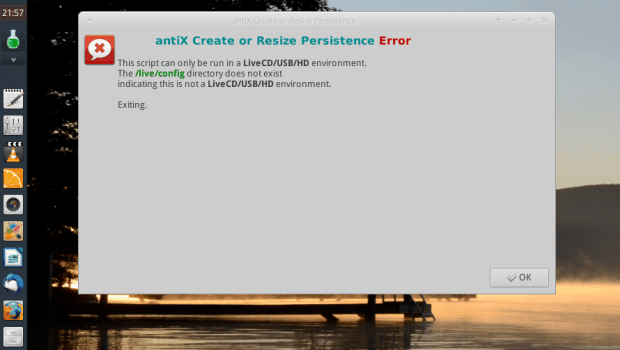 I can only answer from our perspective with MX Linux. We get a lot of interest from people with older machines, and Broadcom wireless chips in those often used to come up as a show-stopper. Our response was to develop an automatic detection capability on the one hand, and to provide a graphical tool on the other. Jerry Bond and dolphin_oracle, thank you for your answers. My rant was nothing personal. I see now why you put the extra Broadcom work in MX. These are perfect reasons, of course. I guess I’m just frustrated, because the Realtek issue is apparently a permanent one in Linux (I have no idea why) as even Dedoimedo acknowledged, and googling the issue, it seems quite a few people have the same opinion. Anyway, I’m going to give MX a try on a spare laptop, the differences to other distros make it sure enough worthwhile to invest some time in it. To bring this up to date: in the upgraded version of MX Tools, we now have Repo Manager, which gives the user an easy method of selecting which of the mirrors works best for his particular location/situation.